Mönchengladbach/Germany, June 8, 2018 – Renovation works on the high seas! 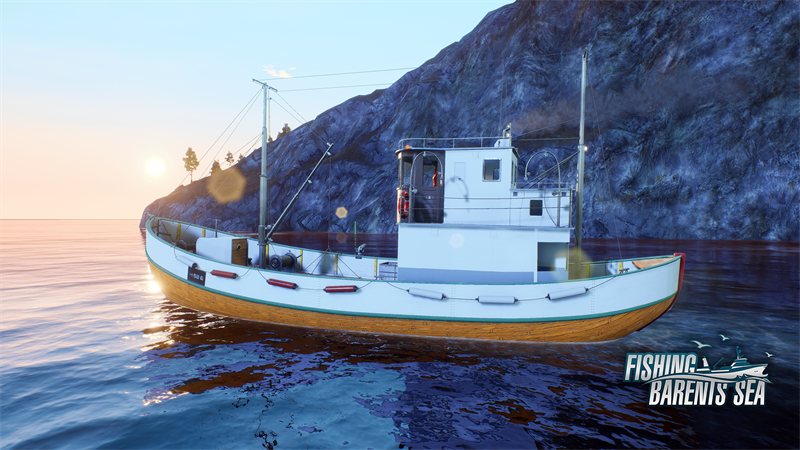 The new update which is going to be released on June 18 shows that Misc Games always has an open ear for the community of Fishing: Barents Sea. In collaboration with publisher astragon Entertainment the Norwegian developer studio implements multiple new and advanced features the fans of the game urgently asked for. The update 1.1 adopts a wide range of visual improvements and even completely new features into the fishing and ship simulation game which is available as retail and digital copies since February 7, 2018. Friends of the high seas can look forward to a noticeably improved gameplay experience. Among many other fixes the huge update to version 1.1 will simplify the fish gutting process and adds a personal inventory system for the game character which can be filled with knives, hooks and binoculars at every port. Curious fishers will get the opportunity to explore all-new decks: The ship models of Vibeke Cathrin, Lunar Bow, the Hermes trawler and the Follabuen – which is now available in normal gameplay too - have been completely reworked. Next to this the Vibeke Cathrin, Lunar Bow, the Hermes trawler as well as the Sjarken are now equipped with accessible interiors. Additional comfort will be provided by the new rotatable and adjustable captain’s chairs. If the interior of the ships still does not satisfy the player’s thirst for exploration, the idyllic environment around Hammerfest and the rest of the Barents Sea can be explored thoroughly with the help of the brand new binocular feature while moving AI ships and fishing boats are breathing even more life into the vast landscape of Northern Norway. The update 1.1 for Fishing: Barents Sea will be released on June 18, 2018 as a free download on Steam™. The main game is available for PC in retail and as digital download for 19.99 Euro/19.99 USD/16.99 GBP (RRP). Unreal Engine, the circle-U logo and the Powered by Unreal Engine logo are trademarks or registered trademarks of Epic Games, Inc. in the United States and elsewhere.